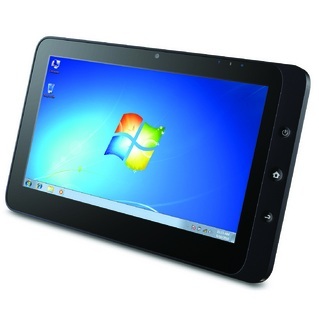 Viewsonic has announced via press release the availability of ViewPad 7 and ViewPad 10 tablets for US customers. ViewPad 7 has a 7 inch LCD screen with multi-touch support, 800 x 480 pixels resolution, 512 MB internal memory that can expand up to 32 GB via microSD card. 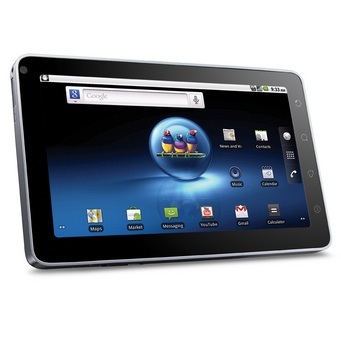 ViewPad 7 runs the latest Android 2.2 Froyo OS. Also, Viewsonic ViewPad comes with 2 cameras, one in the back with 3 megapixels, autofocus and another front camera for video calling with 0.3 megapixels. About connectivity, ViewPad 7 has Wi-Fi b/g, Bluetooth and USB. ViewPad 10 a 10.1 inch LED display with 1024 x 600 pixels resolution and multi-touch support, Intel Atom processor with 1.66 GHz frequency, 1 GB of RAM, and 16 GB SSD hard drive expandable via microSD card up to 32 GB, and 1.3 megapixels webcam with built-in microphone. Viepad 10 comes with dual-boot, a feature that gives users a choice between Windows 7 Home Premium and Google Android 1.6 OS within the same device. The ViewPad 7 will be available in late Q4 2010 for an ESP of $479 and the ViewPad 10 with dual-boot OS will be available in Q1 2011 for an ESP of $629.